Hailing from 4 different countries with 5 collective languages spoken, this group of San Francisco / Los Angeles-based women aims to promote diversity through representation. She Did That is in the business of empowering women, celebrating our successes and encouraging one another to push boundaries in the workplace, marketplace and everyplace. Cebu-born and California-raised, Arnelle is a proud Filipina who appreciates the endless opportunities that her parents’ bold and brave choice to uproot their family and move to America has afforded her. Despite always being told to “focus on one thing”, her never-ending curiosity saw her trying countless professions and endeavors, until she found her calling as a self-employed photographer and entrepreneur. She is passionate about humanitarian and conservation work, and that passion aligned with her love for photography has enabled her to lend her skills to meaningful causes. Her mantra — “Let the beauty we love, be what we do”, by Rumi. Her internal guideposts — lead with compassion and love; never operate in fear. Joma is a Filipina-American, born in San Francisco, California. A member of a prodigious, multi-cultural family, Joma has grown up with a love for the intersection of cultures. That love has turned into a hunger to learn about the various cultures of the world first-hand and has inspired her to travel and live abroad. She now feels most at home when she’s away. Her analytical and inquisitive mind has her managing large accounts in the venture capital and private equity space as a CPA at one of the most well-respected public accounting firms in the world. Her creative heart pursues her passions through personal businesses focused on philanthropy and content creation. But her most important message, simply put, be kind to one another as you never know what someone is going through. Compassion over everything. Indian born, California raised - Shanti’s name means peace in Sanskrit. 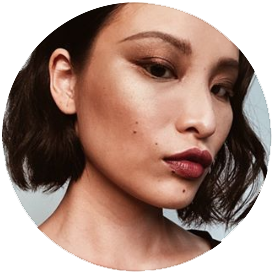 She is a full time Associate Content Producer based in San Francisco working alongside various production teams, partners, and talent. She graduated from Santa Clara University with a B.S. in Economics. When she’s not at work, or traveling for work - she is usually journaling, Tweeting, planning her next Eat Pray Love journey, or spending time with loved ones. Her goal through SheDidThat is to inspire others to follow vigorously their pursuit to happiness and deep rooted passions. Born in Vietnam and eventually moving to America, Gianna has always had an appreciation for the arts. Her close relationship with her family — especially her father who taught her how to cook — sparked her love for great food. Her adventurous tastebuds compel her to experience the cuisine in every country she visits, from the renowned restaurants to the little street vendors. On one of her trips to Bali, she discovered her passion for photography. A couple short years later, Gianna is turning her hobby into a profession by studying graphic design and the various tools necessary to enhance her photography skills. Minh is a resident human of planet earth. Saigon-born, California-raised, she straddles countries and cultures. Minh initially went to college to be a lawyer, but quickly realized she preferred Lightroom to courtrooms and wound up a photographer. Now she works as a content creator -- focusing on branding, content creation + marketing, and art direction. The 5 people she would invite to her dinner party are: Salvador Dali, Bianca Jagger, Yves Saint Laurent, Nan Goldin, and Ruth Bader Ginsburg.